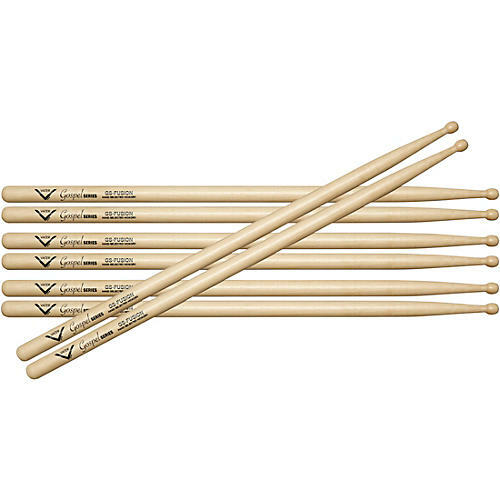 In between a 5A and 5B in the grip like Vater's popular Fusion model, but with the extra length that the Gospel Series brings. Very responsive and suitable for all applications.Buy three pairs and get the fourth free. In between a 5A and 5B in the grip like Vater's popular Fusion model, but with the extra length that the Gospel Series brings. Very responsive and suitable for all applications. Buy three pairs and get the fourth free.